As Hadoop gains popularity within the enterprise space, the race is on to create a performant, stable SQL on Hadoop solution that can both stand up to concurrent use and provide advanced analytics. Advanced syntax (like SQL JOINs and CLAUSEs), concurrency, customization and optimization are still difficult to achieve in a Hadoop environment. In this webcast, learn how HP has taken the robust and complete Vertica query engine and opened it up to the Hadoop world. By allowing Vertica to be installed directly on Hadoop, HP brings the ability to deliver more complete and better performant analytics to HDFS. This engine works natively with Hadoop file formats like ORC and Parquet, and runs natively on the Hadoop cluster to offer the most complete, time-tested SQL on Hadoop offering. 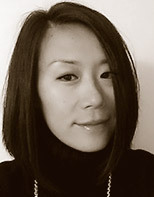 Hochan Won is a Corporate Systems Engineer for HP Big Data Platform. She has been working with HP Software for the last two years. Prior to HP, she was a Database Administrator for over 13 years, working with various database platforms including Oracle, IBM Informix/Netezza, and SQL Server. 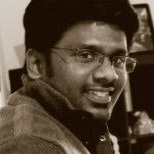 About Satish Sathiyavageswaran - Corporate Systems Engineer HP Software, Big Data Platform.